The reshuffle that followed the high-profile resignations of David Davis and Boris Johnson from the Cabinet have left many in the tech sector asking, “who is Jeremy Wright and what will his appointment as Secretary of State for Digital mean for the sector?”. Jeremy Wright succeeds Matt Hancock as Secretary of State for Digital, Culture, Media and Sport (DCMS), with Hancock gaining a substantial promotion to the position of Health Secretary. Wright’s appointment surprised many politicos and tech sector businesses alike, who know little to nothing of the new senior minister, despite his previous Cabinet role as Attorney General. As journalists tried to dig out points of interest, one Minister mused, “the only thing I really know about Jeremy is that he has a monster Lego collection”. From a tech perspective, Matt Hancock’s shoes are certainly going to be difficult to step into. His short tenure leading DCMS was a busy one, enthusiastically driving ambitious digital and technology strategies with a genuine passion for this aspect of his brief. With his previous experience as Digital Minister within the department, his role in the Cabinet Office overseeing government-wide IT projects, and with time spent working in the sector prior to his political career, Hancock’s appointment as Secretary of State in January 2018 was warmly welcomed by the UK’s tech sector. That said, for all his more policy-focused achievements, Hancock’s pro-tech reputation was epitomised for many in his (widely mocked) eponymous social network app, intended to boost the MP’s engagement with his constituents in West Suffolk. Jeremy Wright, on the other hand, is already attracting scepticism less than two weeks into the job, with commentators pointing out his comparative lack of experience or expressed interest in tech, culture or sport. His opposite number on the Labour front bench, Tom Watson MP, was quick to jibe that he couldn’t even find Wright “on the digital medium of Twitter but I’m sure that’s just an oversight”. Similarly, critics have pointed out that according to official Hansard records, Wright has used the word “digital” just twice in the thirteen years that he has been in Parliament. James Temperton, Digital editor at WIRED, scathingly summarises the concern for many: that Wright’s appointment “lays bare the government’s continued distaste for technology”. So what do we know about Jeremy Wright, aside from a potential lack of natural affinity for all things digital? He has been the Member of Parliament for Kenilworth and Southam since 2005, a rural area of the West Midlands, which may explain his lack of focus on the tech sector up until now. While the constituency is home to some research and development sites for manufacturers like Jaguar Land Rover, its strengths lie more in the agricultural sector than they do cultivating innovative tech companies. Kenilworth and Southam is also one of the safest Conservative seats in the country, with Wright receiving 60.8% of votes in the most recent 2017 general election. Conceivably related to this fact has been Wright’s firm loyalism to successive leaderships and adherence to the Conservative Party whip in Parliament. According to official records, Wright has rebelled only once (on a minor matter) out of the 599 votes he has participated in since May 2015. He even abstained rather than joining his 26 Conservative colleagues in voting against the Government on HS2, something which caused widespread dismay among his directly affected – and disappointed – constituents. His loyalty to the leadership is in stark contrast to the numerous rebellions that the Prime Minister is facing from within her party at present, and he will no doubt be a welcome ally during the ongoing tumult. Like the Prime Minister, he campaigned for Remain in the EU referendum but since the vote has written of the need to “respect the result”. 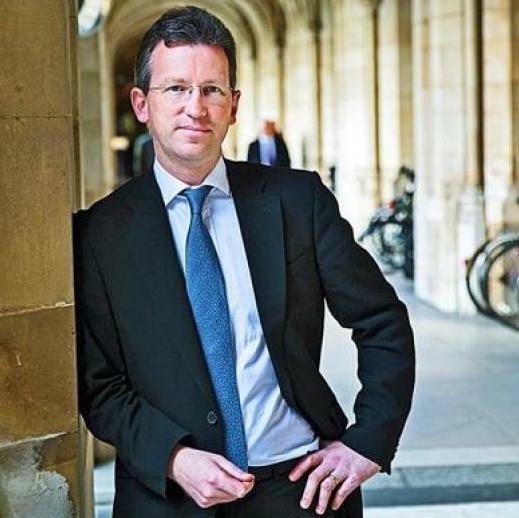 Jeremy Wright’s legal background as a criminal barrister prior to entering politics has seen him occupy a number of associated ministerial posts, including Prisons Minister and Attorney General for England and Wales. While it is impossible to definitively say at this early stage how this might shape his future policies in DCMS, it seems likely that in contrast to the flashy ‘pop politics’ of Matt Hancock, Wright may take a more process-driven and detail-focused legalistic approach. This is something that many will welcome as the Government look to negotiate important legal agreements with the EU to ensure data flows can continue after Brexit. One additional issue that a number of commentators have picked up on is that Jeremy Wright has voted consistently against increases in corporation tax, suggesting that he is likely to have a traditional Conservative pro-business attitude. In line with this position, we may well see him supporting the policy of working for an international approach to taxation of digital platforms to address the widespread concern about tax minimisation. Was Hancock too close to be a friend to tech? One could also posit that while Matt Hancock seemed a natural choice for DCMS Secretary precisely because of his tech experience, the flip side is that he was, at times, less receptive to lobbying from the sector, particularly on questions around the regulation of content. Indeed, he stated that he had developed the Matt Hancock app, in part, to show that a social media platform could be effectively moderated in a direct challenge to Facebook, Twitter and YouTube. By comparison, Wright is likely to be more open to hearing what the sector has to say and identifying areas of compromise where there is a significant disagreement. A final point worth making to quell the industry’s concerns about Wright’s lack of prior focus on the sector is that this is perfectly normal for ministers when adopting new portfolios. Indeed, experience suggests that prior interest is not indicative of whether they will emerge as a champion of a sector or not. For example, Defence Secretary Gavin Williamson – who has fiercely fought for more defence spending – had no experience in the military or defence sector when he was appointed late last year. In fact, he ran a pottery firm and worked as a fireplace salesman before becoming a politician. Fellow Cabinet minister Michael Gove also faced public scorn upon his appointment as Environment Secretary the year before, not only for not having a particularly strong environmental credentials, but also for having allegedly attempted to remove global warming from the school curriculum during his time as Education Secretary. After a series of green policy successes in his brief, he is now described by some as a “full-throated environmentalist”. If anything, this change in leadership of DCMS might result in a more proportionate balance of how the department is managed. The ‘digital’ in DCMS was only added to the title in 2017, and there were subsequent complaints from the Department’s other core responsibility areas (which include arts, culture, creative industries, sport, tourism, heritage and gambling) that, under Hancock, digital had been prioritised to their detriment. Having less of a subject matter expert as Secretary of State may also mean that the responsibility for overseeing the sector will return to Margot James MP, Minister for Digital. She is generally well-regarded in the sector but has been rather in her predecessor’s shadow while Hancock was Secretary of State. However the ministerial responsibilities are shared out, there will be plenty of thorny issues to grapple with in Jeremy Wright’s newly acquired DCMS in-tray. In his first week in the job he signed off the political-loaded decision of 21st Century Fox’s acquisition of Sky, and he still has the Digital Charter White Paper, the enforcement of GDPR, the Creative Industries Sector Deal implementation, and an independent review into the future of journalism still to tackle. More broadly, the UK Government has also been touting technology as one of the saviours for the UK following Brexit, so how Wright navigates this added complexity will be critical in the coming months. The fourth DCMS Secretary within two years will need to hit the ground running, not just to cope with a sizable workload, but also to win the confidence of the tech sector at such a critical time for the UK economy. Megan provides political analysis and monitoring to emerging technology clients, with a focus on drones and data.